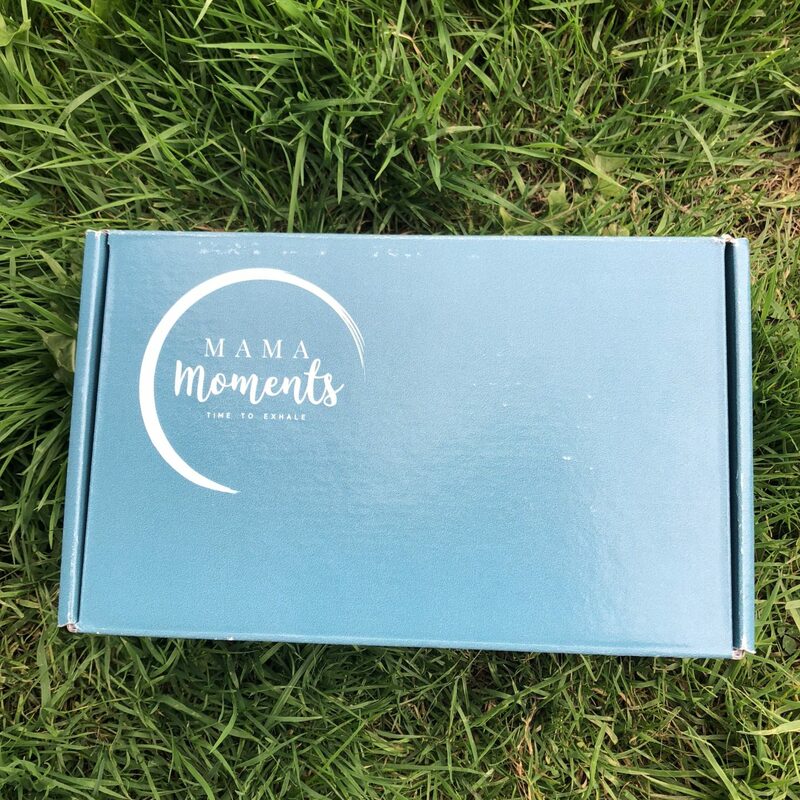 Mama Moments is a new Irish subscription box that’s aimed at busy mothers who don’t make enough time for themselves. It launched in August 2018, aiming to give women who are burning the candle at both ends a little something just for them, some self care in a box. It’s a bimonthly product, costing €39.95 every two months, and each box contains 5-6 full size products from independent companies sourced by Sarah. So, before we look at the box, what did the woman behind the business have to say? Here’s a little Q&A to give you a bit more information! My name is Sarah Ryan, I’m 35 years old and am married 9 years to my wonderful husband. We live in Dublin with our 2 young kiddos – a 4.5 year old boy and 2 year old girl. 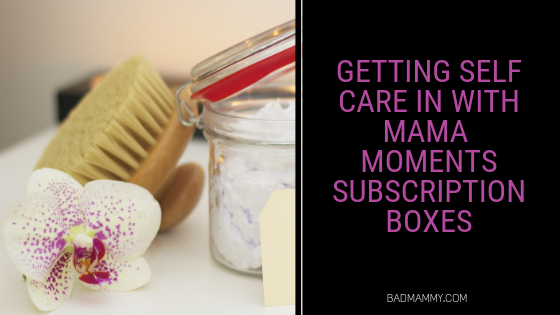 I’ve recently started my own business, Mama Moments, which is a self care subscription box aimed at busy mamas. What gave you the idea for Mama Moments? The idea is to provide mothers with a regular prompt to prioritise self care as it’s too easy to always put everyone else first and let yourself burn out. I had hyperemesis on both my children and post-natal depression after my son was born. Going through those experiences was incredibly hard physically, emotionally and mentally so I learnt the hard way the importance of self care. I also noticed over the years that there can be so much focus on a new baby that the mother can get lost in the shuffle. People can be so generous with gifts for new babies but it’s also really important to check that new mothers are doing okay and to remind them to look after themselves as well as their new babies. These realisations combined and the idea to create Mama Moments was born! Subscription boxes are incredibly popular but there was nothing in Ireland aimed at mothers around the idea of self care. The Mama Moments subscription box will arrive every two months and will contain 5-6 items carefully chosen to encourage self care. Products can include bath & beauty products, positivity prints or pins, chocolate, tea, candles, gratitude journals and more! My hope is that, because it is a subscription box rather than a once off purchase, it will serve as a regular prompt to mothers to take some time for themselves to recharge. Even if all you can manage one day is 5 minutes with a hot cup of tea and a delicious bar of chocolate. Even those few moments can make a difference. And perhaps the next day you could find time to take a bath with a scented candle or some time to journal. It’s not realistic for many mothers to take an hour or more for themselves every day (even if we’d like to) but if you can build some smaller moments of ‘me time’ into your day on a regular basis, you will find that it makes such a difference to your mental and emotional health. What has been the best bit so far of launching the product and having a little company? There are so many great things about running your own business! One of the best things has been discovering how many amazing female-led small businesses there are in Ireland! One of my missions with the Mama Moments box is to include only products from small businesses (small, Irish, female led businesses if I can! ), and give those businesses a platform to access woman who would love their products but might not otherwise come across them. I have met and spoken to so many amazing women who are running their own businesses while raising families and it is a thrill to be part of that community. Women supporting women! Another great thing is the incredible people you get to meet and the stories you hear. I’ve gotten to know so many of my customers and the women from whom I’ve sourced products, and it’s been such a privilege learning about their lives. And of course, seeing people’s reactions to the Mama Moments boxes online has been amazing, some people have done live unboxings and it’s so much fun for me to see their real-time reaction to the box and all the contents! What is your favourite thing to do for self care and taking time to yourself? I’m an introvert so I recharge best through some quiet alone time. My favourite ways to practice self care are really simple – a hot cup of delicious herbal tea curled up with a cosy blanket and my book is just perfect to me, or else a hot bath with some gorgeous bath salts and some gentle music playing with a candle lit. I’m all about ‘moments’ when it comes to self care. You don’t have to have hours of time blocked out, you really can top up your ‘battery’ in small windows of time. If you had one piece of advice to offer to other Mama’s, what would it be? Trust your baby and your own instincts. All babies are completely different and no book or person knows your baby as well as you do. Do what works best for you as a family, be that cots or co-sleeping, prams or slings. Whatever gets everyone the most sleep and keeps everyone the happiest! I tied myself in knots for the first few months of my son’s life trying to follow the (usually contradictory!) advice everyone was giving me, and everything I had read. Once I decided to follow my son’s lead and my own instincts everything became so much easier, and everyone was so much happier! We’ve parented this way from the start with our daughter and I did not suffer from post natal depression second time around. I feel, in my particular circumstances, that part of the reason I suffered from post natal depression the first time was because I was trying to conform to what these books were telling me. It made me feel like I was failing as a mother because my baby wasn’t doing what he was ‘supposed’ to, even when I followed the advice in the books. Following my baby and my instincts was the best thing I ever did and I have two very happy, healthy children, and a much healthier state of mind these days. Similarly, what is the best piece of advice YOU have ever received about taking care of yourself? Actually, the best piece of advice I received was to make time for self care! I found it really hard as a new mom to understand that it was far better for my baby, for me to be way from him for a short space of time, and have me happy and healthy, then for me to be around 100% of the time but completely frazzled and worn out. Learning to take time for self care, to step away and focus on myself, even if it was only for 10 or 15 minutes each day, was a hard lesson for me, but once I finally started to practice self care regularly I found it made a huge difference to my happiness. Any last pieces of wisdom to share? I saw a quote recently which read “self care means giving yourself permission to pause”, and this is so true. We need to make time for ourselves as women to recharge, so that we can be the mothers, partners and people we want to be. Easier said than done sometimes, but it’s so important. 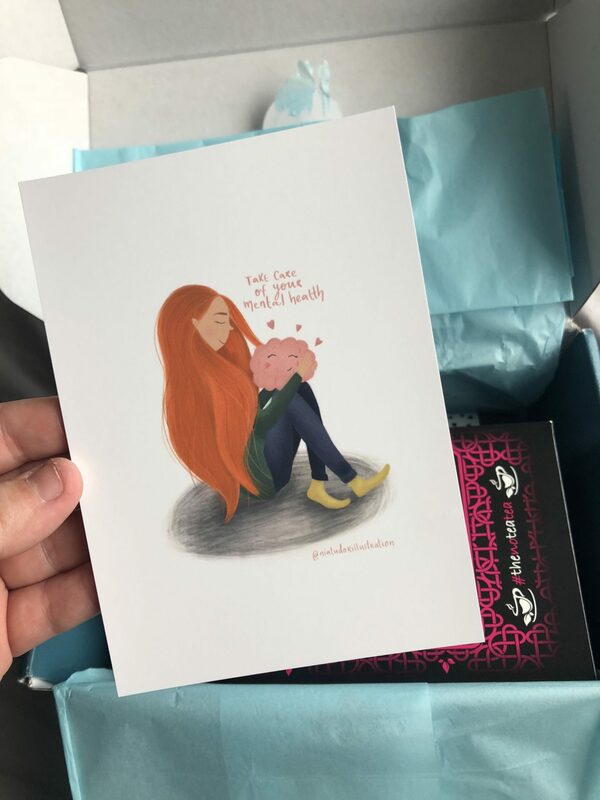 I received a special box that Sarah had put together, not the next subscription box, so this does not contain spoilers as to what is coming in the October box. So, what did I receive? 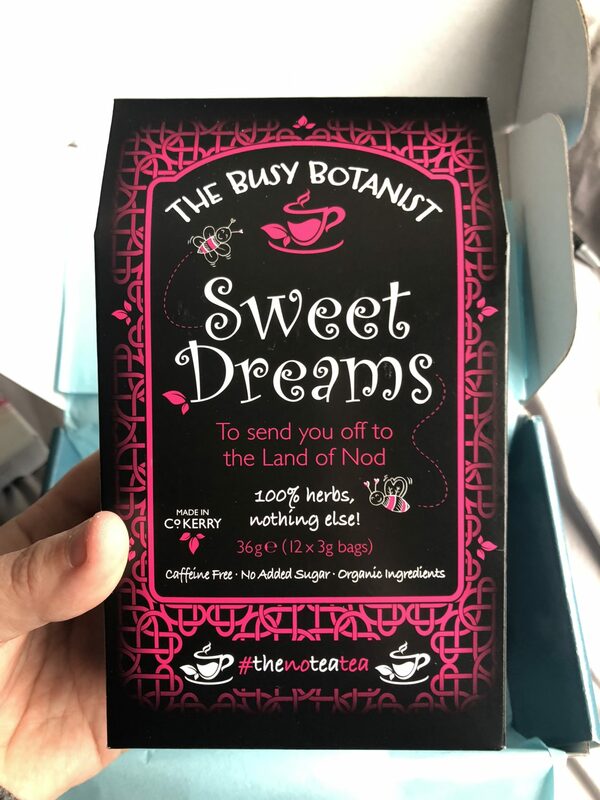 I was sent The Baileys One bar from Slaab Chocolate, alongside a set of Happicards, a box of The Busy Botanist Sweet Dreams Tea, a Mental Health Print by artist Nia Tudor and Sleep Time Spray from Ranae Von Meding. Presentation wise the box is absolutely beautiful. It’s really well put together and a nice selection of things for busy mama’s to enjoy. Unwrapping it is a real treat, you can tell it is put together with love. Product wise, it’s a really nice selection with something for everyone in them. 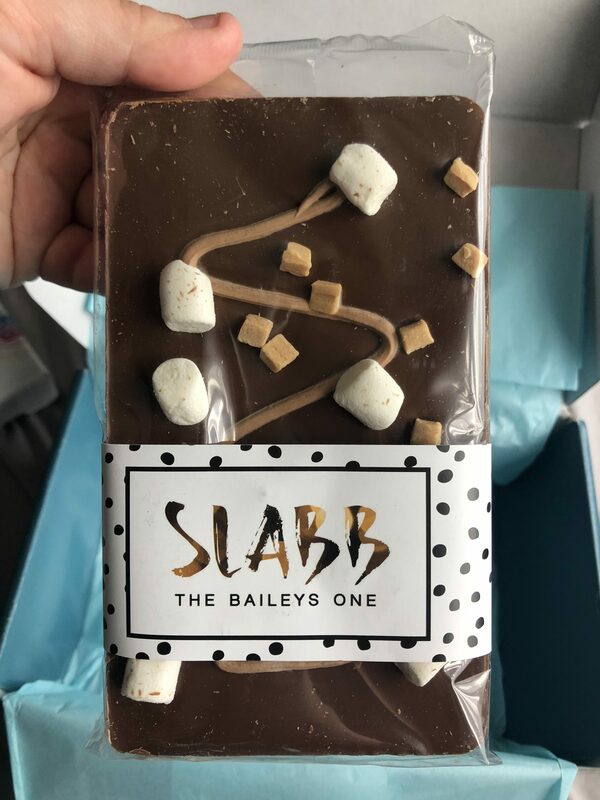 The chocolate bar from Slabb was absolutely divine – a beautifully creamy chocolate which was a wonderful addition to my evening. The Sweet Dreams tea made a nice change from my nightly cup of tea and also helped to cut out the caffeine while relaxing me. 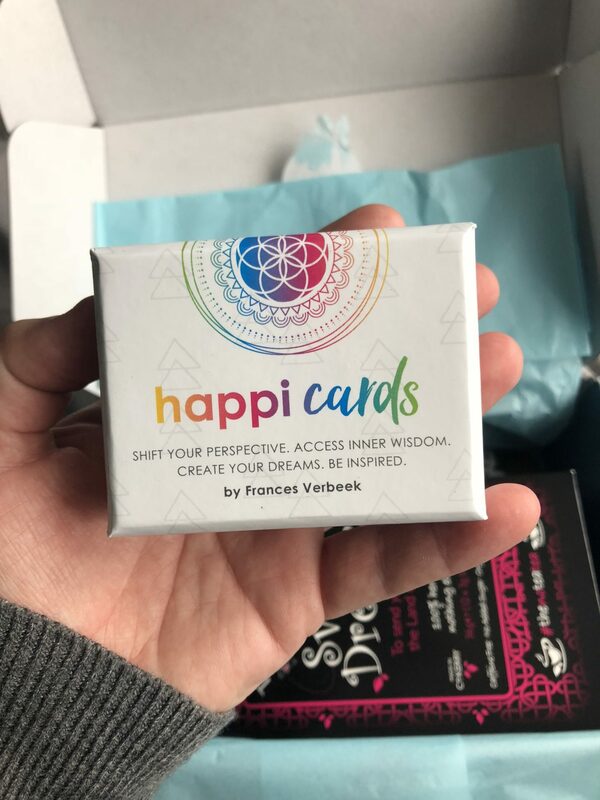 Happicards were an idea I found really interesting – like Community Chest cards in Monopoly but with prompts to relax and feel better. The print is a gorgeous picture. I did find the price a bit high for a subscription box – having signed up to beauty ones sporadically in the past, I found the price to be a good bit higher than those. However, I completely understand that Mama Moments is a subscription box containing full size products instead of sample sizes and the products come from independent companies. This in itself will bring costs up, meaning that the product is going to be more expensive. At the €39.95 a box price point, I’m not sure that it is something that I would be able to sign up to EVERY two months, but as a treat it is a really nice way to gift yourself. I really like the idea of these as gift boxes – for that mum you know who could do with a pick-me-up, your friend with a new baby, or even just when you know you’ve had a crap few weeks of chaos and need some joy in the post yourself. I’ve got a discount code for readers who would like to try out the Mama Moments subscription box with 20% off your first order using code ‘BadMammy20’. This code is valid through to the end of the year 2018, and lets you try out the box for €31.98. Treat yourself or a friend and enjoy moments of calm with this little box of joy. The next box will be sent out at the start of October, with the one after that being sent out in December. For more posts on mental health and self care, you can read here. 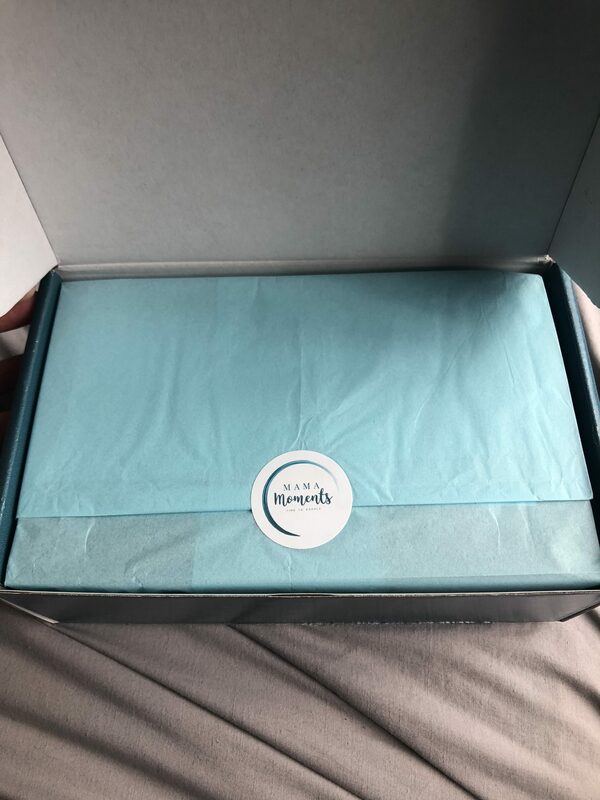 I received a gift box from Mama Moments for the purpose of an honest review. I have not received any payment for this review and all opinions are my own.